Vertellus has assembled a highly seasoned management team throughout its organization. 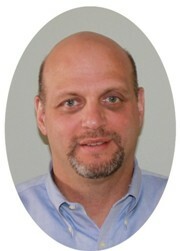 President and CEO Rich Preziotti has extensive industry experience. He spent sixteen years at Honeywell's Specialty Materials Division (formerly Allied Signal) in numerous functional and General Management roles. Most recently he was Vice President and General Manager of Honeywell’s $1.2B chemicals business. Additionally, Vertellus' management team has a record of improving productivity, reducing costs and enhancing customer relationships. Senior management averages over 20 years of industry experience. CEOCFO: Mr. Preziotti, what is Vertellus Specialties? CEOCFO: Would you tell us a little bit about your facilities? Mr. Preziotti: We are a pretty global company. Close to sixty percent of our revenue is outside of the United States. We have five facilities in the US. Our biggest, where our corporate headquarters is, is in Indianapolis. We have a facility in Zeeland, Michigan and one in Greensboro, North Carolina, as well as Delaware Water Gap, Pennsylvania and Bayonne, New Jersey. Those facilities all have different capabilities. We do not produce the same products at these facilities. They are all pretty unique. The facility in Indianapolis is a mix of high volume continuous process manufacturing as well as batch manufacturing. The other facilities all tend to practice batch manufacturing. There are two facilities in Europe. One is in Seal Sands in the North of England. That is a batch chemical manufacturing facility. We have a facility in Antwerp in Belgium that makes Vitamin B3 and intermediates used to make Vitamin B3. Then we have two facilities in China. We have been in China since the first one started up in 2001. Those facilities practice our pyridine chemistry and downstream technologies. China is a very big market for us as pyridines and picolines go into agricultural chemicals. Much of the generic manufacturing for crop protection chemicals is in India and China. Of Vertellus’ approximate six hundred million dollars in revenue over thirty percent of it is in Asia and the preponderance of that is in China. We also have a facility in India that makes intermediates for complex engineering plastics. CEOCFO: Were some of these by acquisition? How did it all come together? Mr. Preziotti: Since Wind Point Partners has owned Vertellus, we have acquired the facility in India and the second facility in China as well as a number of product lines. If you go back in time, all of the specialty or fine chemicals assets that were part of then Rutherford Chemicals were acquisitions that had been done by the Cambrex Corporation. They were actually the beginning of the Cambrex Corporation, starting with the facility in Bayonne, New Jersey – they purchased all of the former Rutherford Chemicals sites. The Reilly Industries businesses grew more organically. Historically and currently the growth of Vertellus has been a mix of both organic and acquisition based growth. CEOCFO: What is the key to successfully managing a far flung group of companies? Mr. Preziotti: I would say in managing a global chemical manufacturing business - I think that, one, you have to have a good team of leaders and you have to have a well-functioning matrix organization. You have responsibilities that cut across functions as well as businesses and geographies. You also have to have good communication and people who are comfortable doing business in a global setting. CEOCFO: What surprised you as you have developed and grown the company? Mr. Preziotti: I have been in the chemical industry for twenty plus years. It is a very global industry to begin with. It changes rapidly, due to markets, regulation and competition from the developing parts of the world, like China and India. Therefore, I think that just the pace of growth in those parts of the world has, I would not say surprised me but it has been both a huge opportunity as well as a source of competitive threat. CEOCFO: Would you tell us about giving back for Vertellus? Mr. Preziotti: It is something that we try to do as a company. We are not a huge company, but we try and promote those types of activities in the local markets where we have facilities. Indianapolis is by far our biggest area that we are an employer and we encourage a number of programs like that to get employees at all levels of the operation involved. I think it is a good stewardship thing to do as a company – to volunteer and give back to the communities that we do business in. CEOCFO: Why does Vertellus Specialties standout as an exceptional company? Mr. Preziotti: We have a unique blend of chemistries that we practice around the world. We serve many really interesting and attractive end industries. We are diverse on multiple facets from a chemistry standpoint and the types of chemistries we practice, the markets we serve and the geographies that we serve. Therefore, I think for a larger, middle market company, we are pretty unique in that respect. We have a fair amount of growth potential, both from a product and applications standpoint as well as a geographic standpoint.